Meet big brother Zack and his baby sister Zoey. In the midst of the craziness of helping with Grandma’s estate sale this weekend, I had the distinct pleasure of photographing this beautiful family. This is one of my absolute favorite shots from our session, and I couldn’t help but share. Look out boys! Any of you who think you are going to steal little Zoey’s heart are going to have to get through her big brother first! 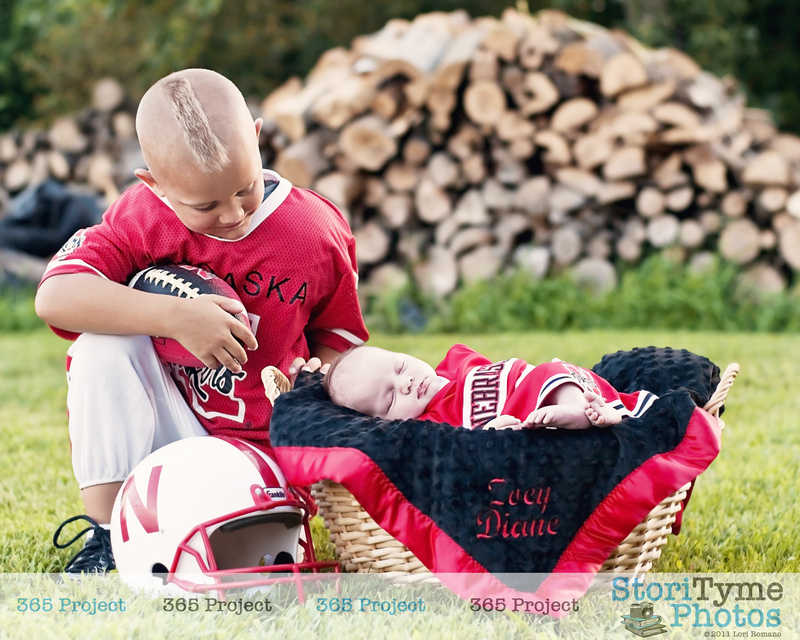 I think it’s safe to guess that Zack is pretty fond of his sweet baby sister. Tonight’s 365 Project entry is dedicated to the adorable Zack and Zoey, and to their lovely parents for letting me share the evening with them and take some pictures. There are a lot more beautiful shots where this came from! That is just simply AWESOME!